Don Pepin Original TAA 2019 - Buy Premium Cigars Online From 2 Guys Cigars . Each year a small group of the country's top retailers and manufacturers gather for the Tobacconist Association of America. At the trade show one of the highlights is the announcement of TAA Exclusive cigars. 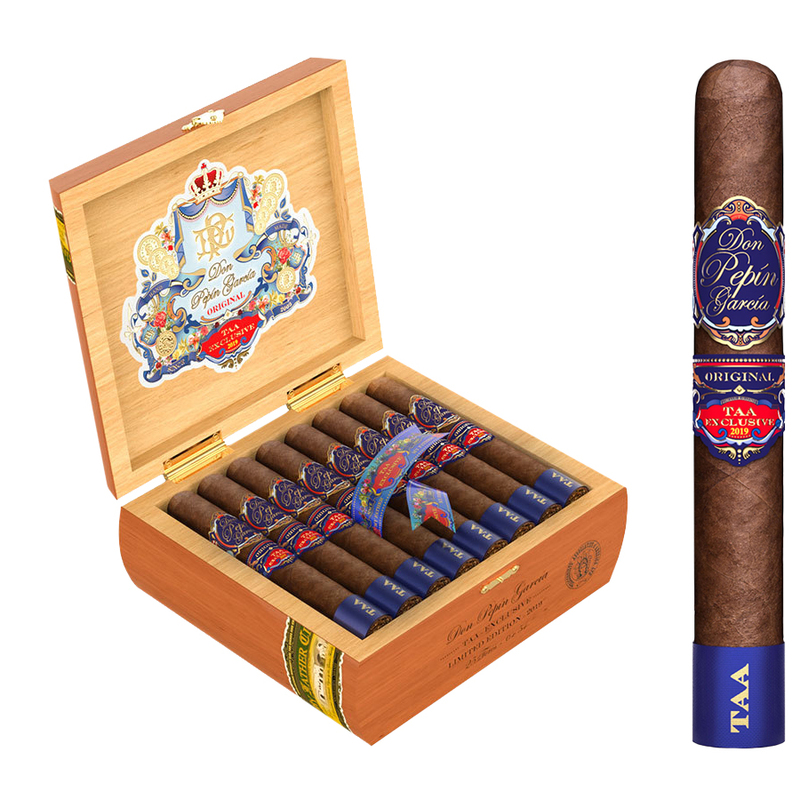 The first TAA release for 2019 is from My Father Cigars in the form of the Don Pepin Original TAA Exclusive Limited Edition 2019. The cigar which is made in Nicaragua is a Nicaraguan Puro with a filler tobaccos including the rare Pelo de Oro. This Limited Edition is a one time release. The 6 x 54 Toro comes packaged in 25 count boxes and will sell out quickly.